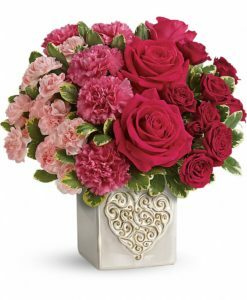 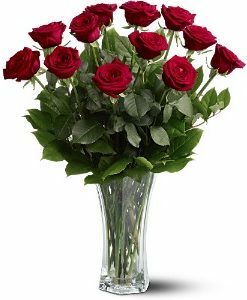 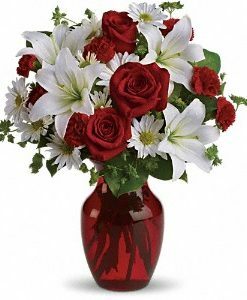 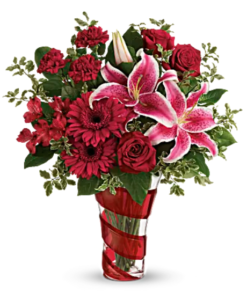 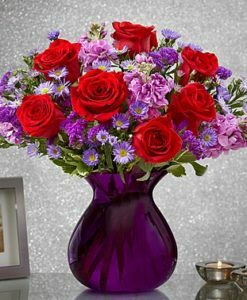 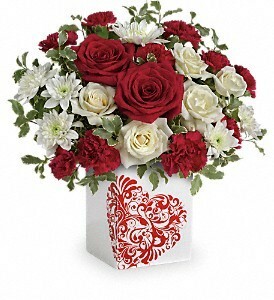 Celebrate Valentine’s Day with this luxurious bouquet of red and white roses. 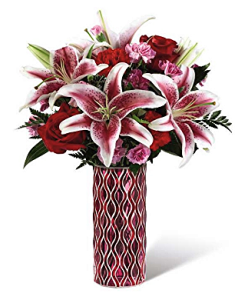 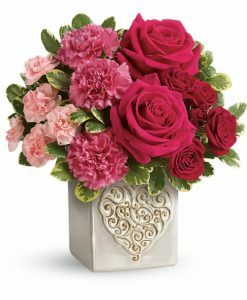 Hand-delivered in a modern ceramic cube vase, its wrap-around heart graphic and sweet sentiment will brighten anyone’s Valentine’s Day! 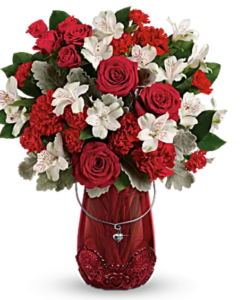 This thoughtful arrangement includes red roses, white spray roses, red miniature carnations, white cushion spray chrysanthemums, pitta negra and lemon leaf. 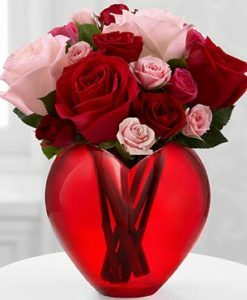 Delivered in a Best Friends Forever cube.